AmaWaterways river cruises offer a peaceful and magnificent journey along the world’s most remarkable waterways. With ships inspired by luxury yachts, you can enjoy spacious twin balcony staterooms, multiple fine dining venues, and encompassing service as you cruise from one stunning destination to the next. Exclusive wine cruises showcase acclaimed wine regions along Europe’s Danube, Douro, Mosel, Rhine, Rhone and Seine Rivers. These unique sailings feature complimentary wine tastings and pairings, excursions to historic vineyards and cellars. AmaWaterways wine cruises are hosted by top wine experts, leading wine lectures and tastings comparing New World Wines to Old World Wines. River cruising with AmaWaterways is a unique way to experience the rich culture, art and history of some of the world's most legendary destinations. A recognized leader in the river cruise industry, AmaWaterways operates river cruises year-round through the heart of Europe on the Danube, Rhine, Main and Mosel Rivers and the Dutch Waterways; in France on the Seine, Rhone, and Garonne rivers; and in Portugal on the Douro River. You may choose from 20 different itineraries in Europe with cruises ranging from 7 to 21 nights, and the opportunity to explore up to seven countries on a 7-night river cruise tour on the Gems of Southeast Europe Itinerary. Complimentary shore excursions at every port allow you to visit historic monuments, partake in culinary excursions, or join active biking and hiking tours. AmaWaterways also offers an exotic river cruise collection featuring the Mekong River in Vietnam and Cambodia, the Ayeyarwady River in Myanmar (Burma), and an African cruise safari program in Botswana on the Chobe River. 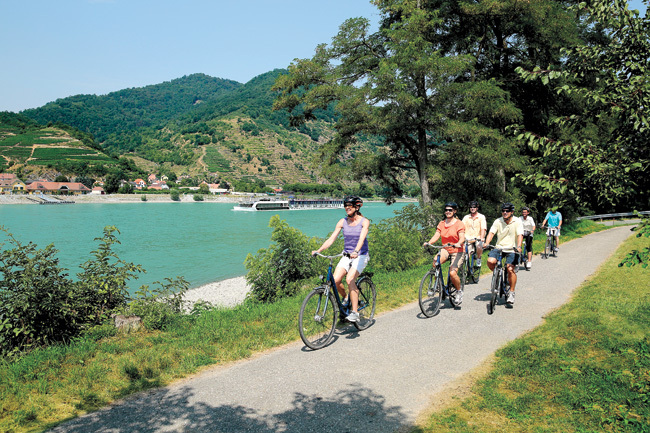 On an AmaWaterways river cruise, you don't just pass through a destination – you experience it. 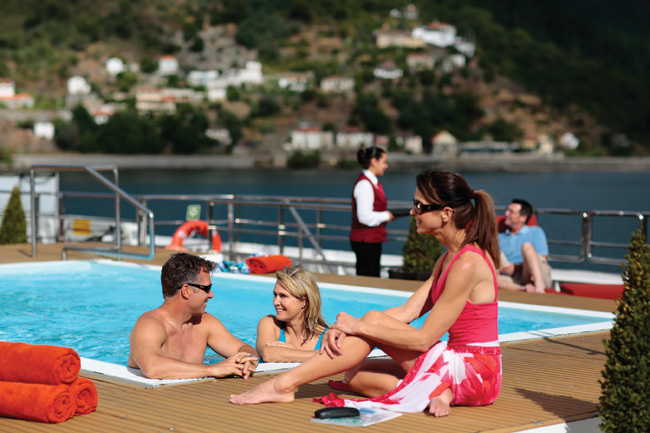 AmaWaterways' award-winning ships are floating sanctuaries where you can relax and enjoy exclusive amenities. Treat yourself to a massage onboard, or take advantage of our hair styling services, fitness room, and pool with swim-up bar. You may also watch the breathtaking scenery glide by, right from the comfort of your stateroom with AmaWaterways' innovative Twin Balcony design. Twin balcony staterooms combine a step-out balcony with a French balcony. Indulge in exquisite cuisine at a variety of complimentary dining venues, including the chef's table specialty restaurant, serving a tasting menu- an experience you won't find anywhere else. With a variety of different onboard amenities, dining options, and shore excursions, AmaWaterways provides you with numerous choices to personalize your river cruise vacation. Explore Europe's most renowned wine regions on an AmaWaterways Wine Cruise. Daily shore excursions allow you to immerse yourself in the local culture by visiting historic wine cellars, and local vineyards. 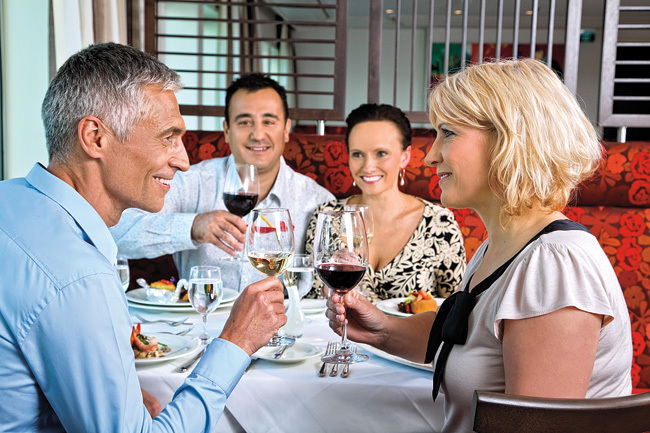 Your cruise is hosted by a qualified wine expert leading onboard lectures, wine tastings, wine pairings, and more. Our 2016 Wine Cruises are operating on the following itineraries on select dates: The Romantic Danube, Europe's Rivers & Castles, The Enchanting Rhine, Paris & Normandy, Provence & Spain, Taste of Bordeaux, and the Enticing Douro. 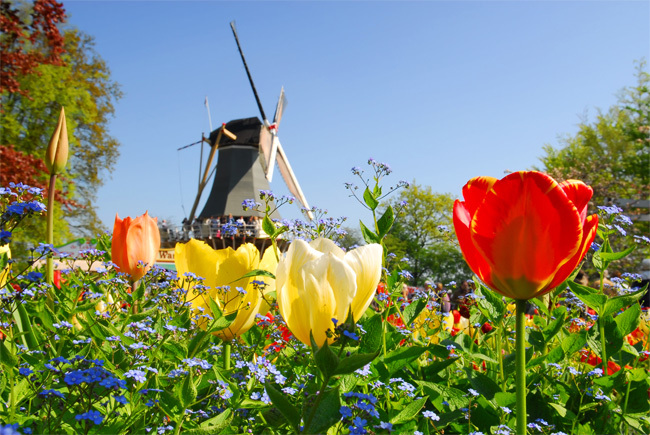 Experience the Dutch and Belgian Waterways with an AmaWaterways Tulip Time Cruise. Witness the wonders of the Dutch windmills and Keukenhoff Gardens as a part of your daily excursions. Or simply relax onboard and soak in the gorgeous springtime scenery as millions of tulips reach their full peak. Explore the many sights of the heart of Europe. Visit the majestic Prague and experience the timeless beauty and fascinating history of Vienna and Budapest as you sail down Danube- one of the world's most romantic waterways. Also, experience the captivating castles, vineyards, and valleys of the Rhine, Main, and Mosel Rivers. Celebrate the magic of the Holiday season on an AmaWaterways Christmas Markets Cruise. Visit some of the world's largest Christmas markets along the Danube and Rhine. Indulge in enchanting excursions that celebrate regional holiday traditions and watch local craftsmen as they create handmade gifts on display in the bustling Christmas markets. Delve into the culture and history of France, as AmaWaterways cruises through the Seine, Rhone, and Garonne rivers. Each of these itineraries features an optional land program in Paris. Begin in the beautiful City of lights with our Paris & Normandy itinerary or bask in the romance of Southern France on our Provence & Spain Itinerary. 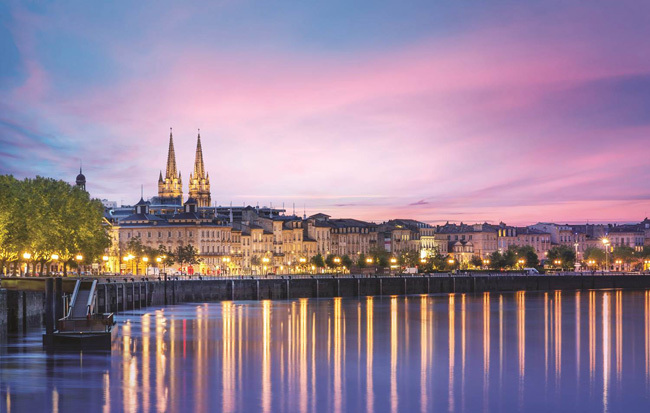 Wine lovers can alternatively cruise to Bordeaux, visiting one of the world's undisputed wine capitals, on our Taste of Bordeaux Itinerary. Sail along the Mekong River in Southeast Asia and immerse yourself in a world of fascinating cultural treasures. AmaWaterways' Vietnam, Cambodia, & the Riches of the Mekong itinerary is the ultimate exotic journey, as we pair an exceptional 7-night river cruise with a captivating 8-night land program. Explore colorful floating markets and villages, spend a night aboard a traditional junk on Ha long bay, and discover the Angkor Archeological park, a UNESCO protected site.